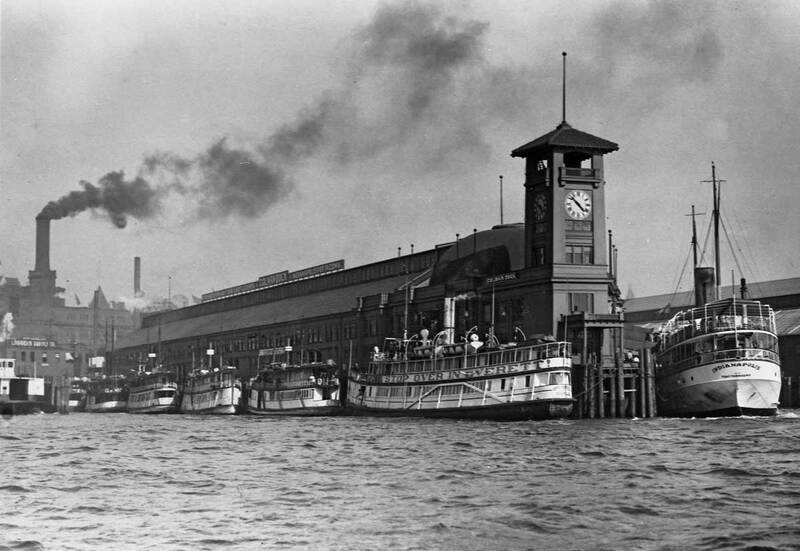 A Colman Dock "classic" showing the line of smaller "Mosquito Fleet" steamers nestling in its north slip and the larger Indianapolis at the end. 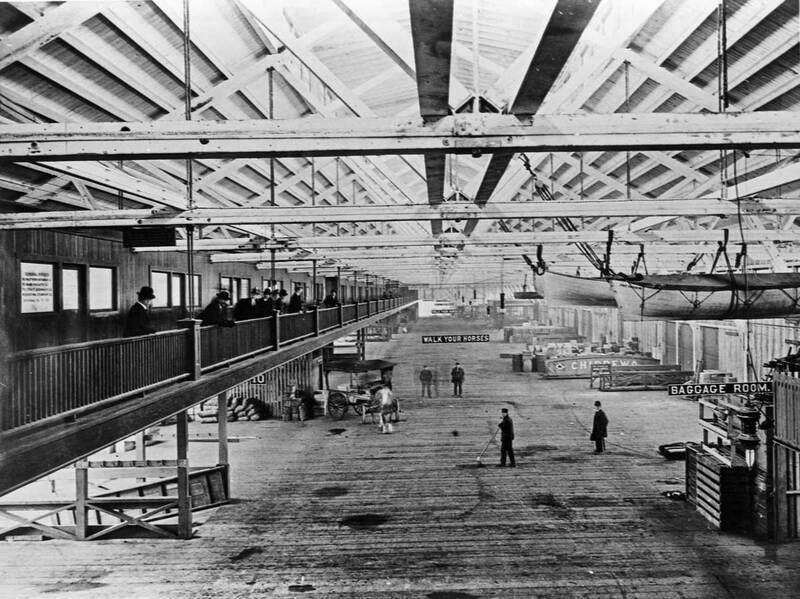 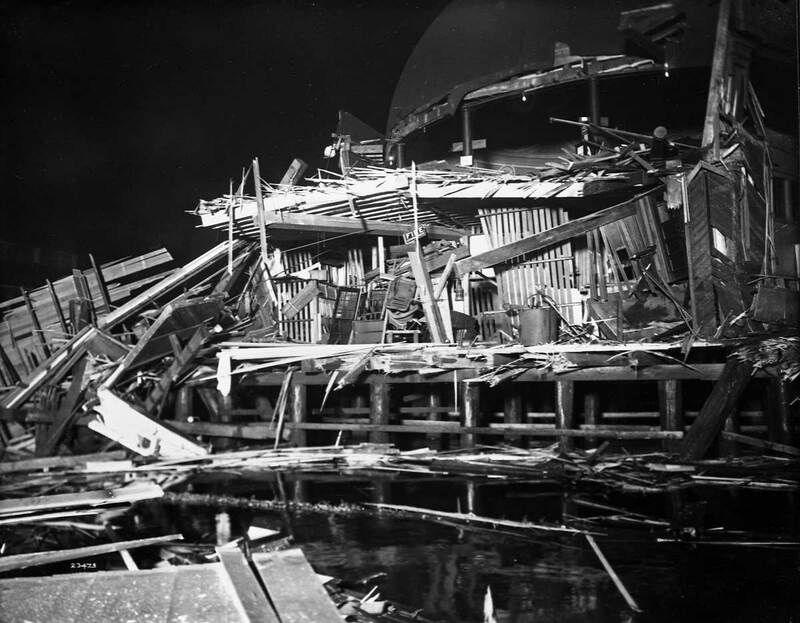 Inside Colman Dock soon after its 1908 construction. 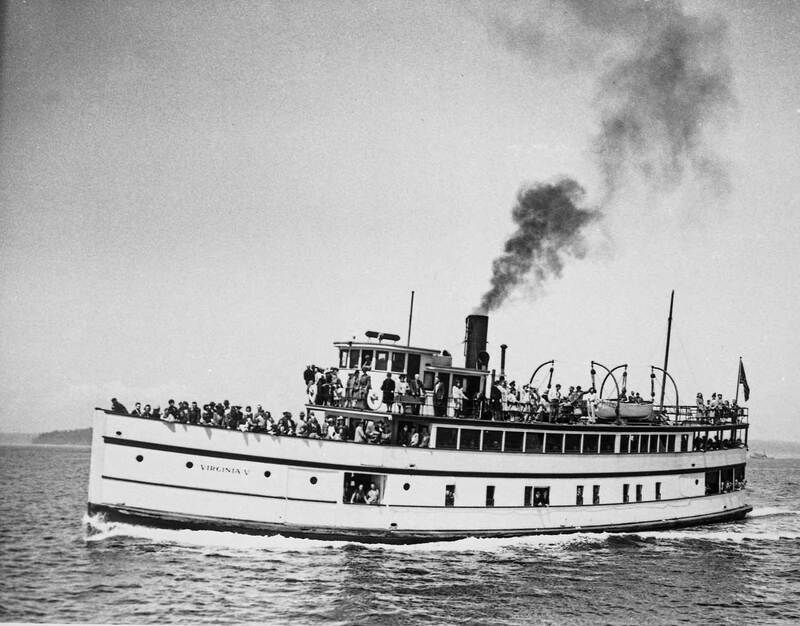 The balcony on the left leads to the passenger waiting room for the larger vessels that were serviced at the end of the wharf and on its south side. 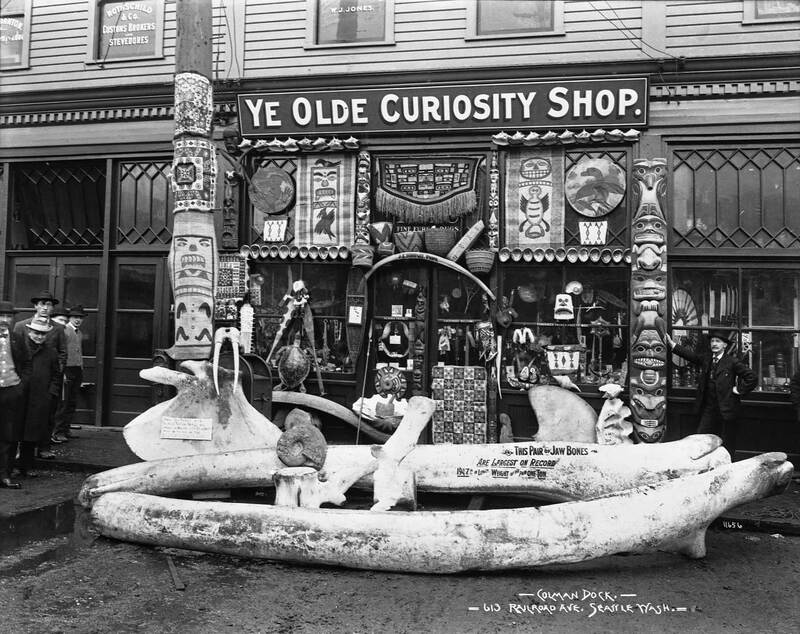 Ye Old Curiosity Shop at Colman Dock with proprietor Pop Stanley posing on the right. 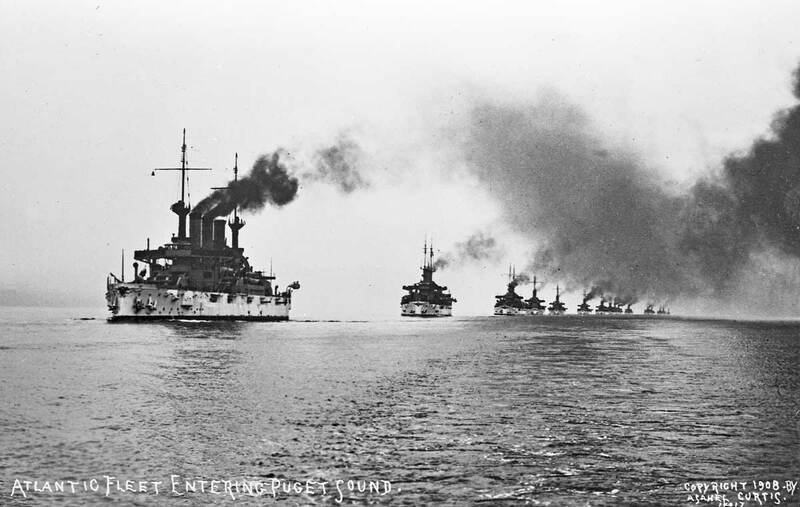 The 1908 visit of the Atlantic Fleet. 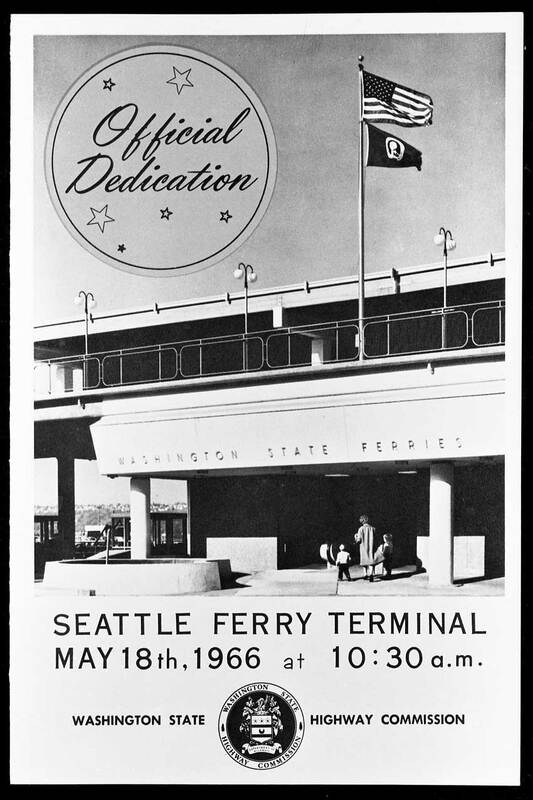 The last of the "Mosquito Fleet," the Virginia V.
Cover to the program for the 1966 dedication of the new Colman Dock.